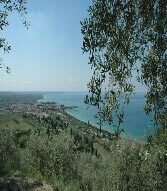 The Bardolino red wine is cultivated on the hills of the Eastern shores of the Lake Garda. The southern part of the Lake is the birthplace of the Custoza white wine. Though not so well known abroad, the mild climate of the Lake, renders these wines very pleasant to drink. We will follow the wine road between the enchanting fishing villages of Lazise, Garda, Bardolino and the romantic Punta San Vigilio offering stunning views of the Lake. We will visit one of the most famous wine cellars, owned by the Zeni family. Here we will have the opportunity not only to taste all the wines of the Verona regions, but also to learn about the process of wine making in their interesting wine museum. 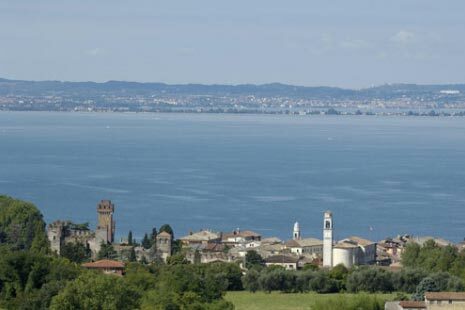 The Lake Garda is also known for its olive oil, and a visit to the olive oil museum in Bardolino is part of the programme.We can also visit Valeggio sul Mincio in the Custoza wine district, famous for its homemade tortellini. Possibility to visit a pastificio, where the tortellini are still made according to ancient tradition, and also the medieval castle. Lunch of Dinner can be organized at the restaurant in Borghetto sul Mincio, a romantic medieval village on the Mincio river. Tasting of the Bianco di Custoza wine and visit the olive oil mill. The restaurant specializes in homemade tortellini and other pasta dishes. Fresh trout from the Mincio river is onother speciality.